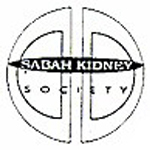 With the encouragement and support from the then Ministry of Social Services, Sabah and assistance from the Lions Club of Kota Kinabalu Mandarin, the Sabah Kidney Society was formed and registered vide Reg. No. 122/94 (Sabah) on 29 Dec.,1994 under the Societies Act 1966; 2. The centre began its operations in 1995 with one new haemodialysis machine and subsequently more machines were bought or donated to cope with the increasing number of patients; 3. Haemodialysis treatment is costly and heavily subsidized with the funds of the Society. Depending on his financial status, a patient is charged as low as RM10.00 per session of dialysisk treatment, where as the cost of disposable and pharmaceutical items for each treatment is as high as RM150.00. However, patients are charged at different rates depending on their earnings or income.